Obamacare enrollment is expected to grow 9% to an average of 11.4 million in 2017, administration officials said Wednesday. Enrollment next year is critical for the president's signature health reform law. Large insurers, including Aetna (AET) and UnitedHealthcare (UNH), are scaling back participation, and remaining carriers are hiking premiums to cut losses from sicker-than-expected enrollees. 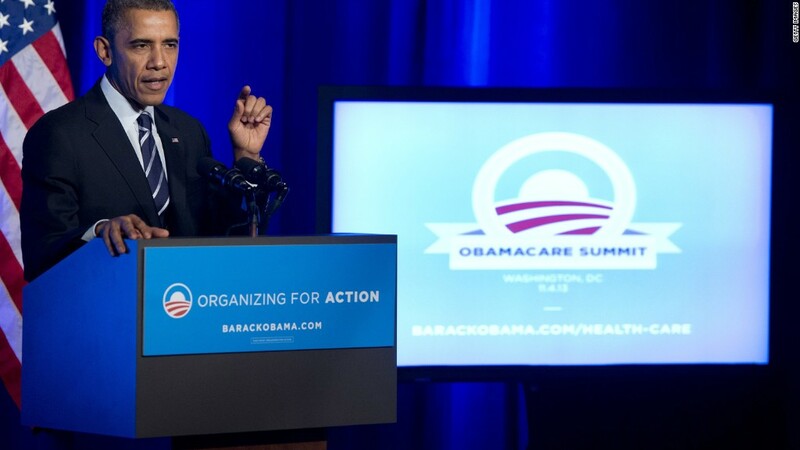 Some 10.4 million people were enrolled in Obamacare plans as of June 30, the administration announced. That's down from 11.1 million at the end of March. Some 10 million are expected to be enrolled at year's end. People regularly move in and out of Obamacare as they gain or lose jobs, get married or divorced or have babies, so enrollment figures change from month to month. Aware of the importance of enrollment season, which runs Nov. 1 to Jan. 31, administration officials are trying harder to reach the uninsured. About 10.7 million Americans who remain uninsured are eligible for coverage through Obamacare. The administration is particularly targeting younger, healthier folks with social and mobile messages, running ads on YouTube, Instagram, Facebook and Twitch, a social network for gamers. Some 40% of uninsured 18- to 34-year-olds are eligible to enroll. Officials are also reaching out to the estimated 2.5 million people who bought individual plans outside the Obamacare exchanges and qualify for subsidies. And the IRS will contact people who paid a penalty or received an exemption for remaining uninsured. The penalty for going without coverage in 2016 increased to $695 per adult, or 2.5% of household income, whichever is larger. The administration expects 3.5 million uninsured people to enroll next year, and 1.1 million more to switch from coverage outside the exchanges to Obamacare plans. About 9.2 million are projected to re-enroll. "Ultimately the marketplace is strong and will continue to be strong because it is offering a product that people want and they need," Health Secretary Sylvia Burwell said. The projected increase is roughly in line with last year's growth, said Larry Levitt, senior vice president at the Kaiser Family Foundation. He called it a reasonable goal that would be encouraging to insurers. "Any growth in enrollment is important, both because it brings in healthier people and it sends a signal to insurers that things are improving," he said. While experts say talk of Obamacare being in a death spiral is overblown, the program is going through a rocky period. Many people signing up for coverage next year will find they must switch carriers or have fewer choices after several insurers pulled out of many markets. Some 19% of enrollees will only have a single company to choose from, up from 2% this year, according to a Kaiser analysis published in August. And 38% of enrollees may have only two insurers in their exchanges. Enrollees will also probably face sticker shock as insurers hike premiums to bring them more in line with costs. A preliminary Kaiser analysis found insurers requested an average 9% increase for the benchmark plan for 2017, up from 2% for this year -- and the foundation expects that average to climb higher now that final rates are in. Some people will see even higher spikes. Pennsylvania just announced that rates for all Obamacare plans there will jump an average of 32.5% next year. That means it's even more vital for enrollees to shop around. The vast majority of enrollees receive federal subsidies that limit their premiums to less than 10% of their monthly income if they pick the benchmark plan. "People are going to see a lot of changes," said Levitt. "There will be quite a bit of upheaval this year as premiums increase faster and some insurers leave the market." Even if rates next year increase by 25%, most Obamacare enrollees will be able to find coverage for less than $75 a month after subsidies, a recent federal analysis found.